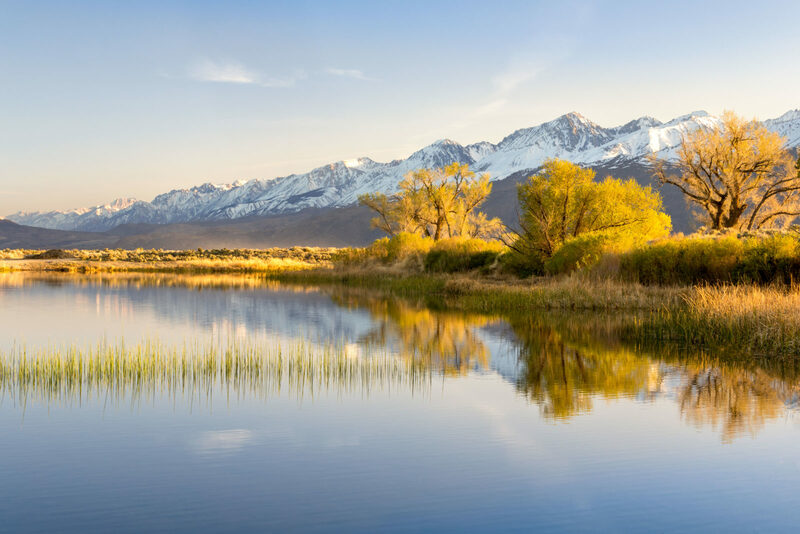 Buckley Ponds, outside the town of Bishop in the Owens River Valley, provide beautiful afternoon reflections in the calm waters. A series of winding dirt trails through this section of the eastern Sierra Nevada is fun to explore in a high clearance vehicle. I believe the ponds are managed by the US Forest Service and were recently cleared of non-native, invasive plant species in an effort to rehabilitate the area into a warm water fishing area for bass and bluegill. I can tell you at sunset the mosquitoes are rampant, providing an ample food source for the fish!